Barnes Interiors were appointed main contractors for partition and glazing work for this project of 7,400 sq.ft. The attention to detail given to this job was first rate. All works were carried out to time and budget and the final result was a neat, tidy and very professional job. I would have no hesitation to use Barnes Interiors again and would recommend them to others. 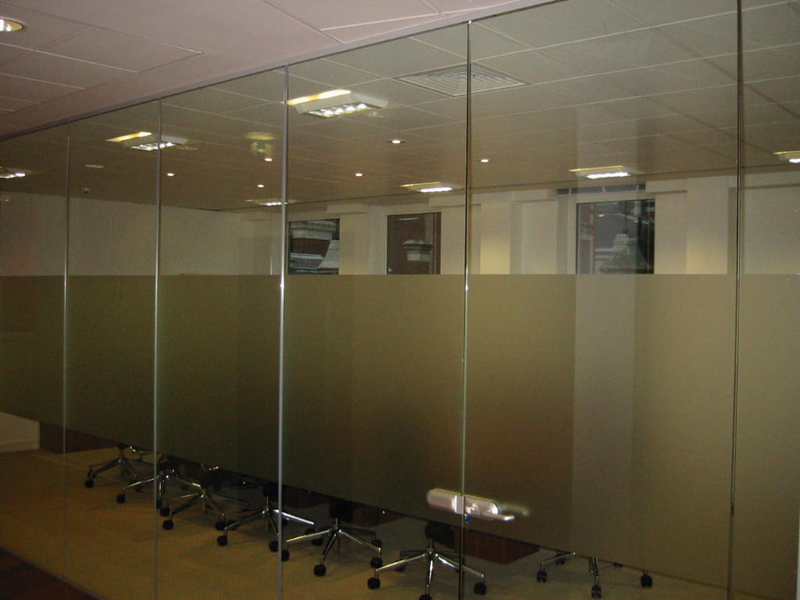 This 4-week project for Oliver Twist Ltd was to supply and install full height frameless glazed partitions into their office. 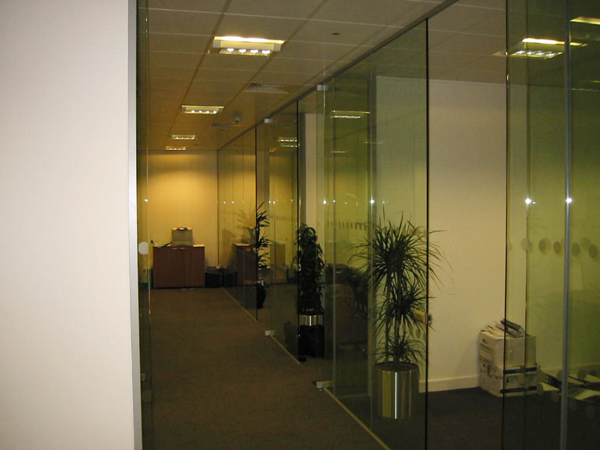 The glass partitions were fitted with full height glazed doors, all with the DDA regulated frosted manifestation. Office refurbishment for a Chelmsford based company. The client required a complete refurbishment of their offices based in Essex. One-storey, free standing office area, within a newly built 6m high business unit. Installation of partitions and ceilings for the offices of Saudi Arabian Airlines. Installation of digital wall coverings in Anglia Ruskin University’s William Harvey Building. Partition wall installation for Broomfield Hospital in Chelmsford. Work in progress on a suspended ceiling installation using Armstrong 24mm Layin Grid. A new office created using System 8000 full height glass partitions.